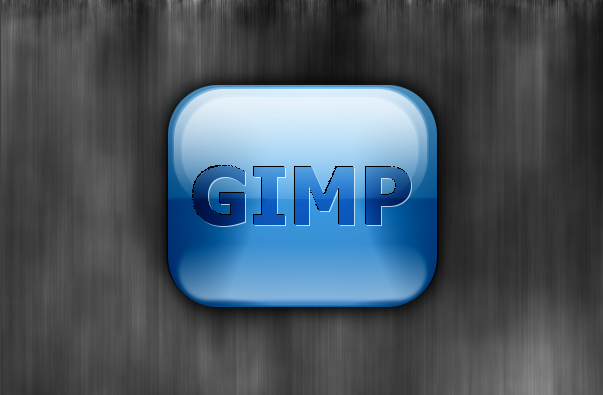 How to make an awesome looking button in GIMP. 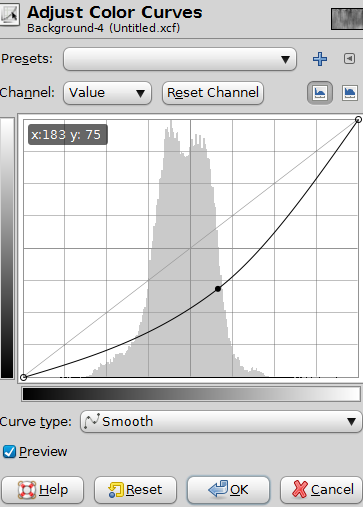 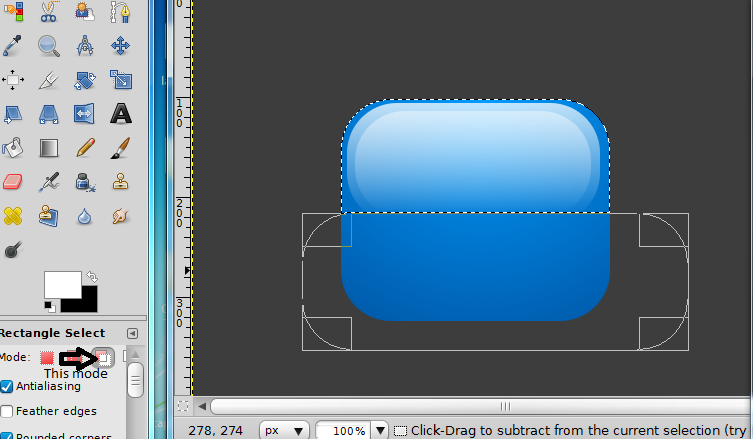 Create a new image, mine will be 640×400 px. 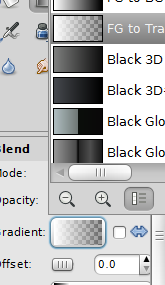 Grab the “Bucket Fill Tool”, set the Foreground Color on “#3d3d3d” and fill the background with it. 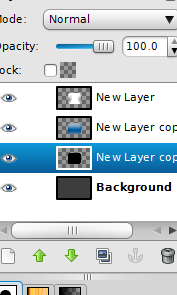 Now create a new layer by going to Layer-New Layer. 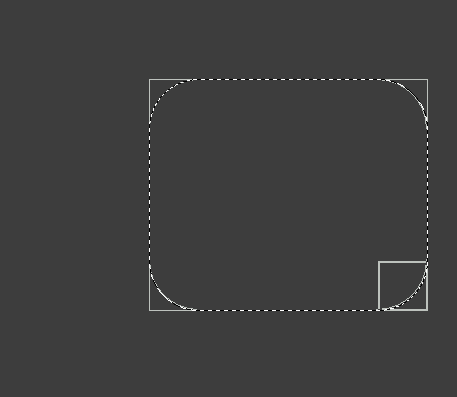 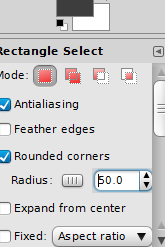 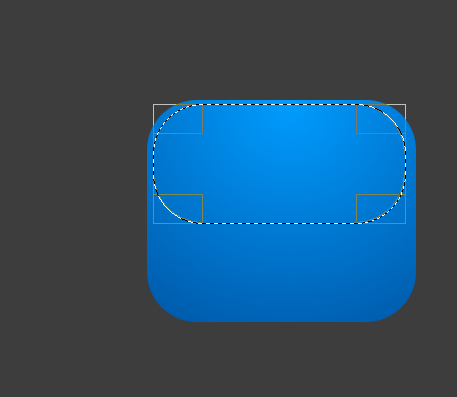 Then, grab the “Rectangle Select Tool”, and in the Rectangle Select box, check “Rounded Corners” and set the Radius to about 50. 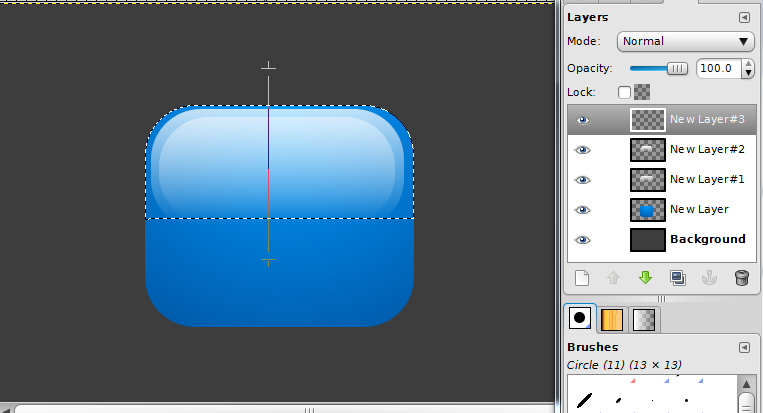 Now drag and create a box like I did. 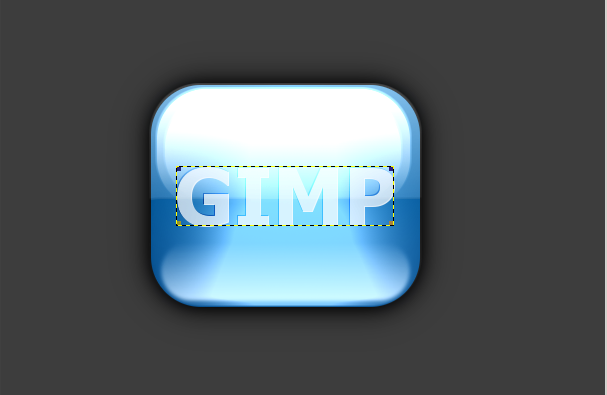 Now grab the “Gradient Tool”, set the Foreground Color on White, set the Gradient to “FG to Transparency”, and the Shape back on “Linear”. Ok now right click on the blue gradient layer and slect “Alpha to selection” so it will make a selection around the button. 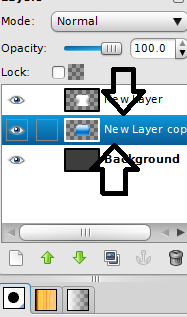 Now uncheck the visibility of the Background Layer and go to “Image-Merge Visible Layers” and click Merge. Now go to “Layer-Autocrop Layer”, and then grab the “Alignment Tool” and align it to the center it by clicking on the image, and then clicking on the two buttons “Align Center of Target” and “Align middle of target”. 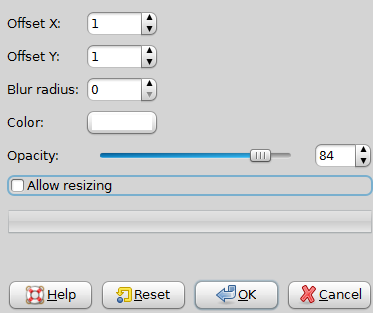 Now set this layer mode to “Grain Merge”, then go to “Colors-Desaturate” and click OK.
Now select the bottom layer with the button and go to “Colors-Brighness-Contrast” and turn the Brighness down to about -55. 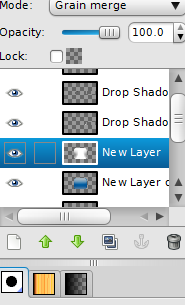 Ok now duplicate this layer, right click on it and click “Alpha to Selection”. 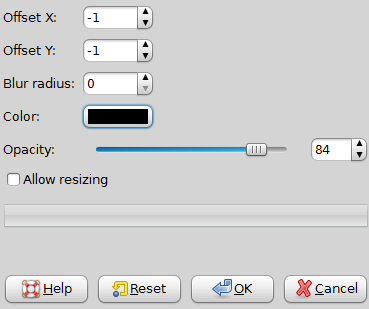 Now take the “Bucket Fill tool”, make the foreground Color Black, and down, at “Affected Area” choose “Fill whole selection” and fill the button. 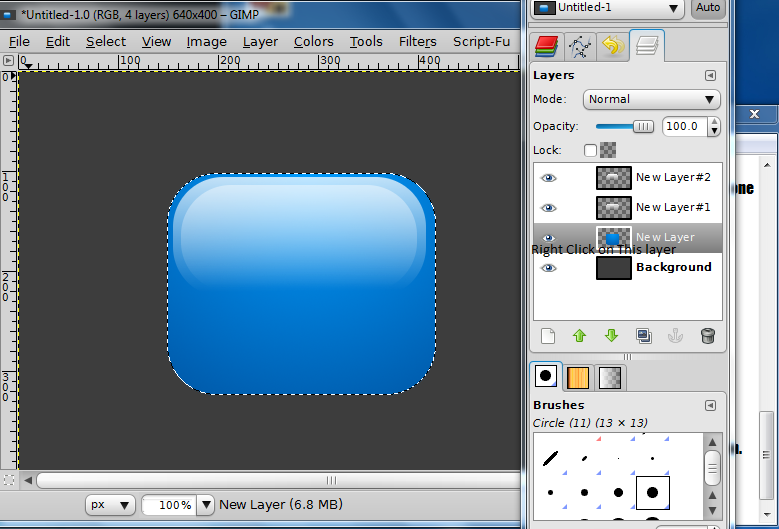 Then, move this layer above the Background layer and bellow all the other layers. 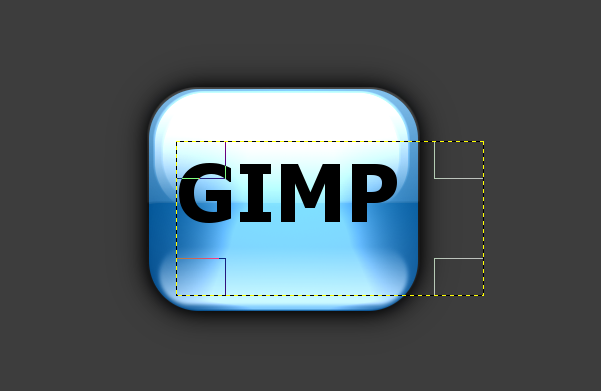 Now duplicate this black layer, and then go to “Filter-Blur-Gaussian Blur” and increase values to about 45 and click OK.
Now go to “Layer-Autocrop Layer” and then grab the “Alignment Tool” and align the text in the center by pressing the “Align center of target” and “Align middle of target” buttons unde the First item thing. Now right click on the text layer and click “Alpha to Selection”, select the “Drop Shadow” layer that is bellow the text layer and go to “Edit-Cut” and then “Select-None”. 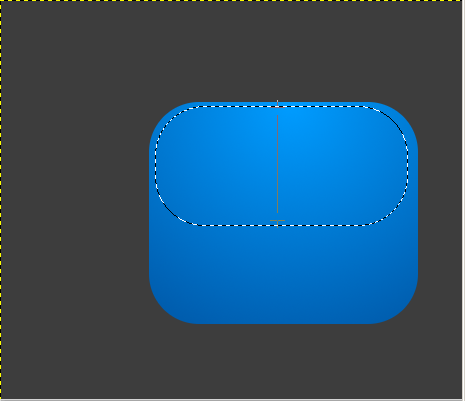 Now turn the opacity of this white layer to about 65%. 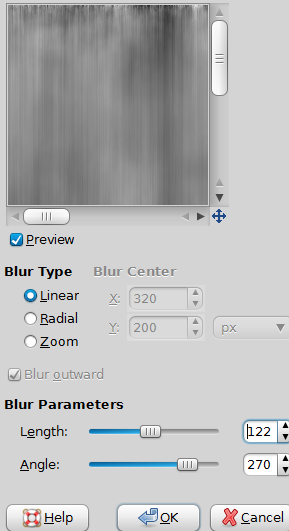 Now select this layer and co to “Colors-Brightness-Contrast” and turn the Brighness down to about -70. 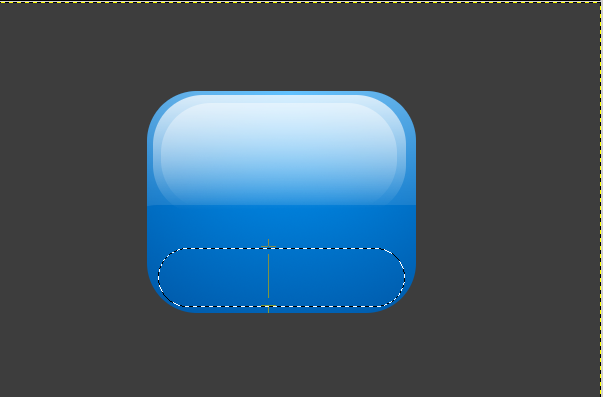 And you’re done!!! 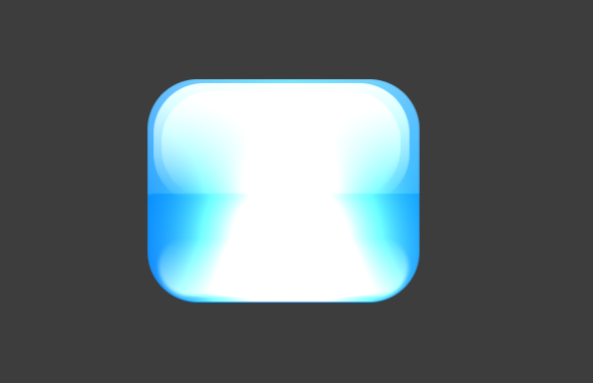 Thank you for reading, this was a pretty hard to make tutorial. 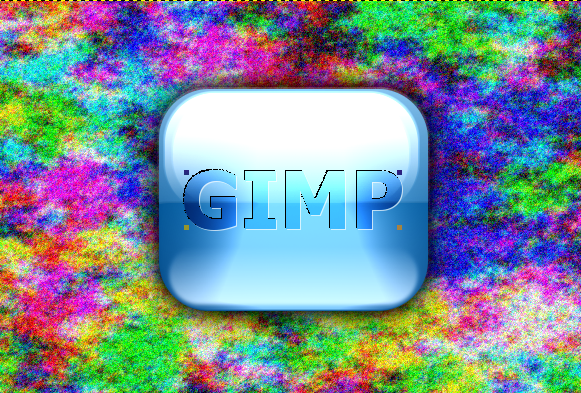 Spent some good hours for this. 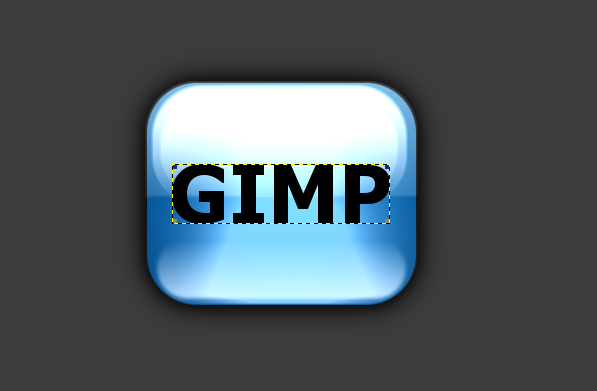 Thank you and see you next time with a ne Gimp101 tutorial. Don’t forget to subscribe to my rss so you will be aware when the next tutorial comes. 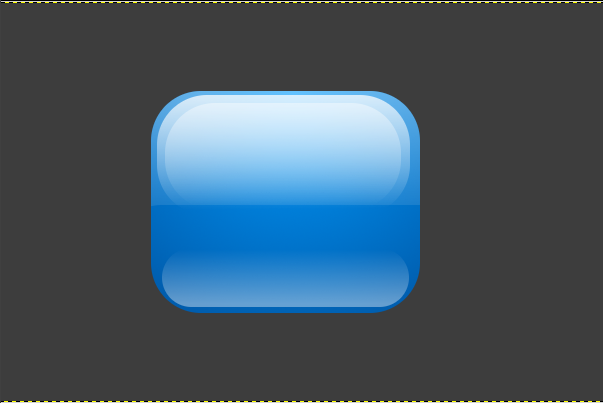 Bye. 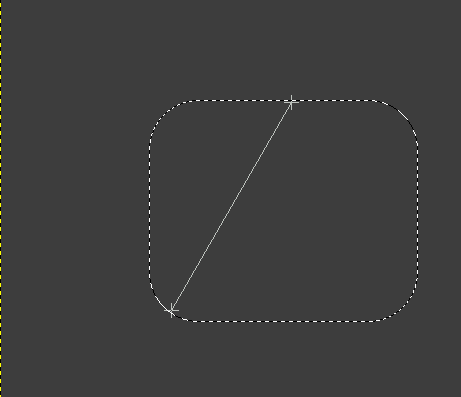 This has been an ENORMOUSLY helpful tutorial, thanks a million for doing it. 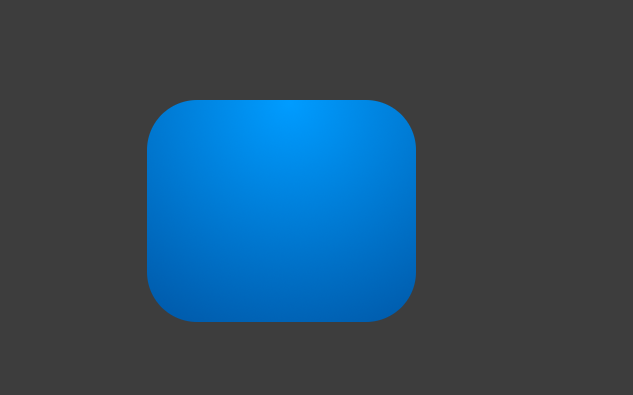 What I do, is that since I like black buttons, is that I just turn off the blue button layer and you end up with a killer looking black glossy button. 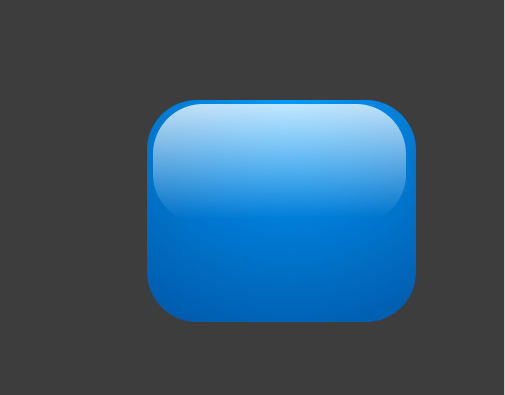 When I have an app (I use these in mobile apps) with a black ground I just throw a layer underneath the button (above background) and make a rectangle that is just 3 pixels larger than the rest of the button and slap a highlight color there. 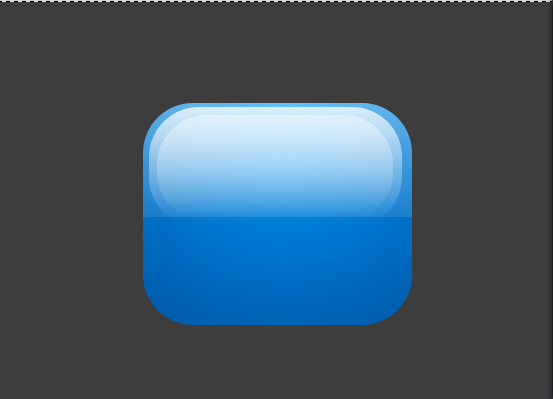 Because it’s at the bottom, all you see is the 3 extra pixels and even on a black background app the button still stands out.